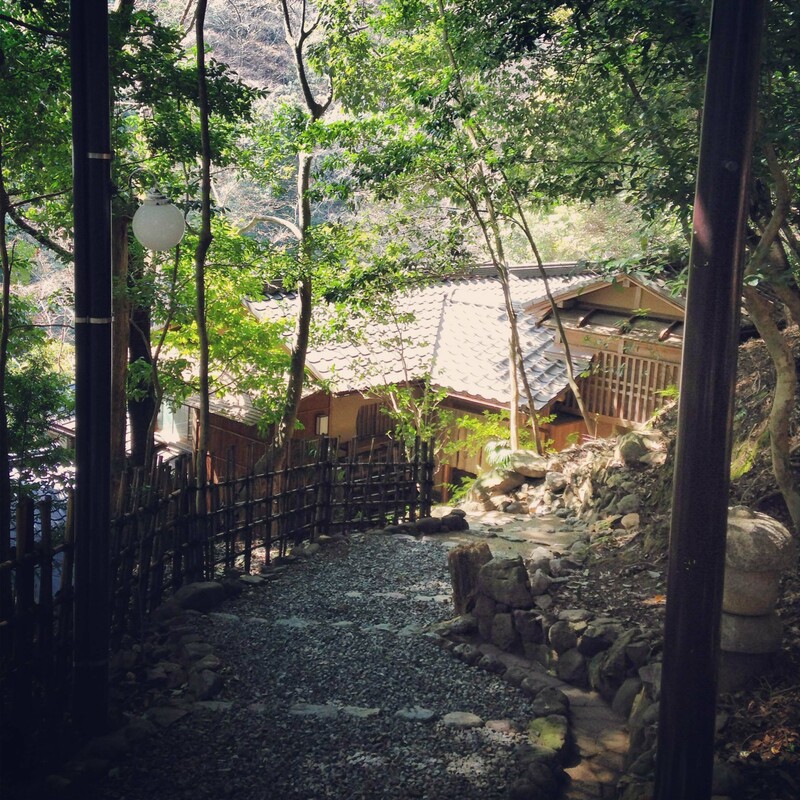 I’ve written a lot about getting lost in Japan. I don’t want to scare anyone from coming to Japan, but it’s a very hard country to navigate when you can’t read any of the signs or maps. Even if you do get a map with English writing, it doesn’t help because very few of the signs are in English. I’ve said many times, out of all the countries I’ve been to, Japan is the most difficult country to travel around, and I even speak the language. 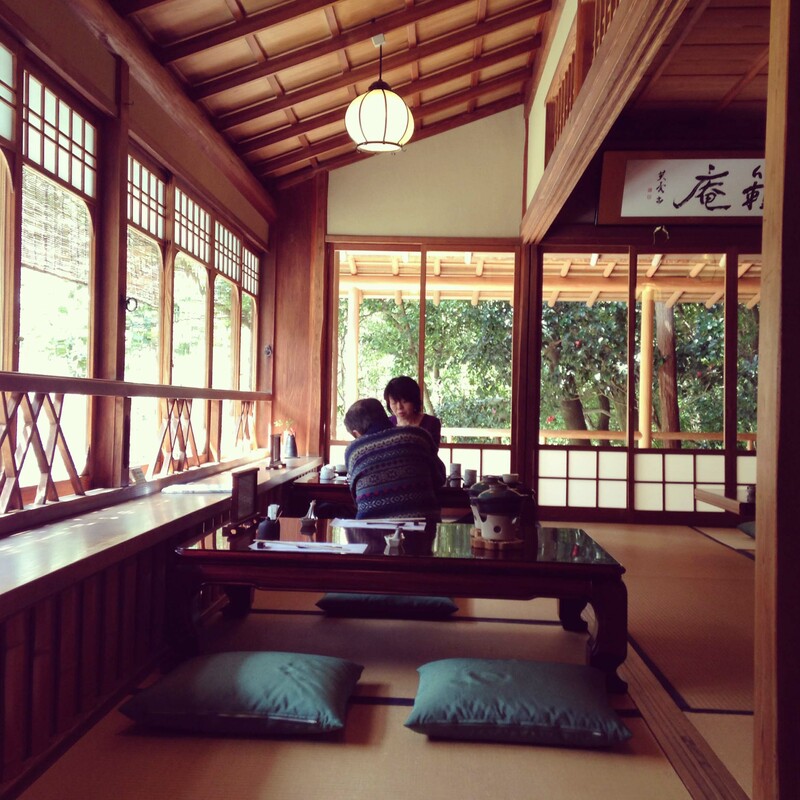 I had gotten comfortable getting around Japan with my pocket wifi, constant access to googlemaps and with the knowledge that even with those, that I should leave ample time to find my way. 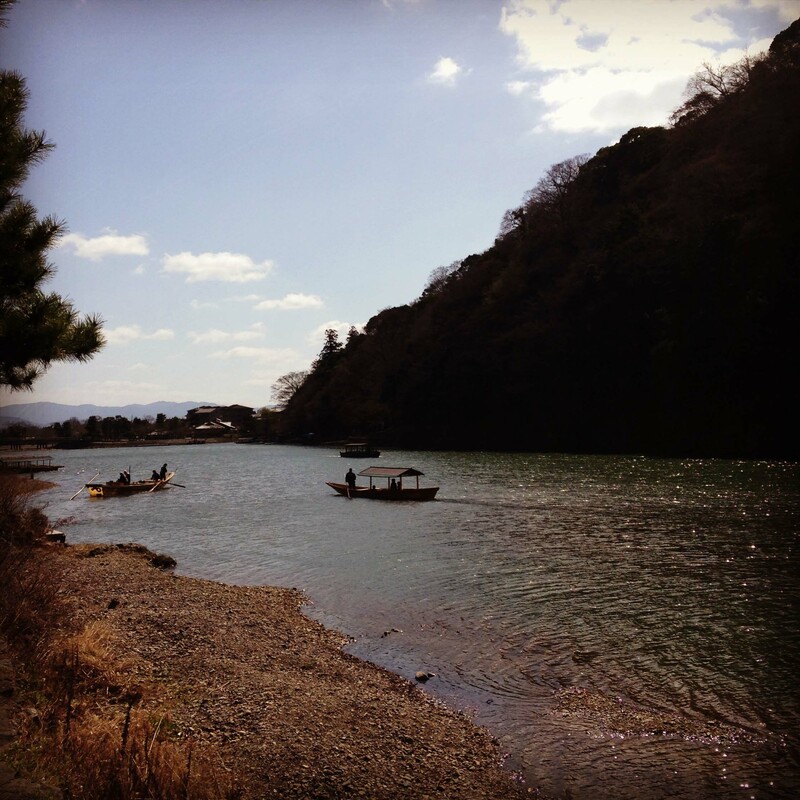 I set off to the town of Arashiyama, northwest of Kyoto to have a lovely tofu lunch by the river. I left the hotel early in the morning as I had a lunch reservation and it was going to take me over an hour to get to Arashiyama from Osaka. 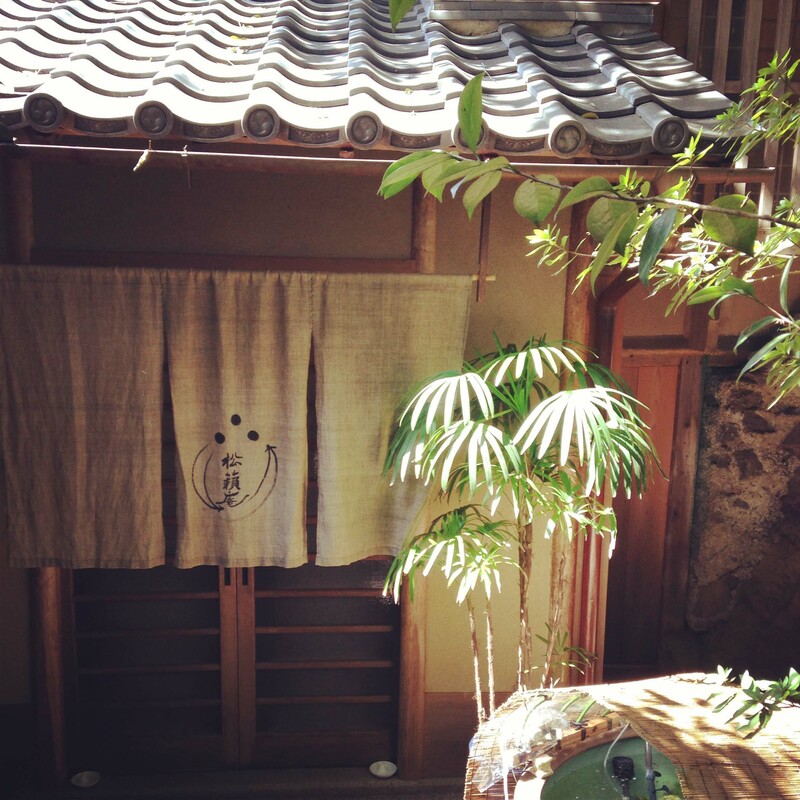 I had allowed myself time to explore and was looking forward to enjoying a quiet morning wandering through the bamboo forest taking photographs and before my reservation. 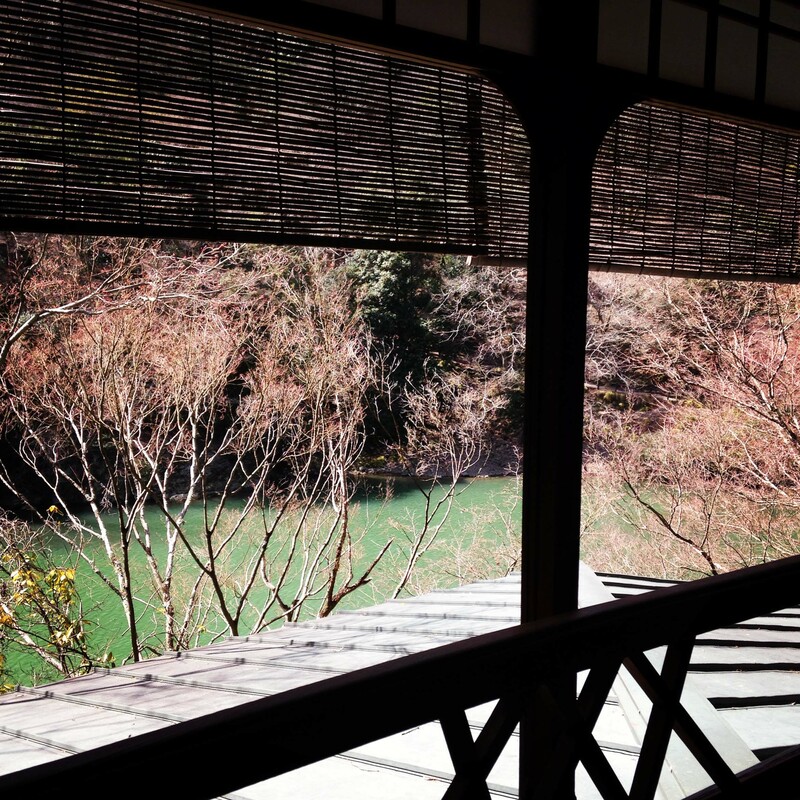 My first few days in Japan had been packed full of activity so I couldn’t wait to go into the outskirts of Kyoto to have some zen-filled moments amidst Japan’s scenic beauty. My concierge had emailed me excellent instructions on how to get to the restaurant so I easily made my way to the Arashiyama train station. As I was leaving the station, I somehow deleted the message and was unable to retrieve it. Luckily I still had a printed map and my trusty GPS. I thought I would find the restaurant first and then use the time before lunch to go back and explore the area. 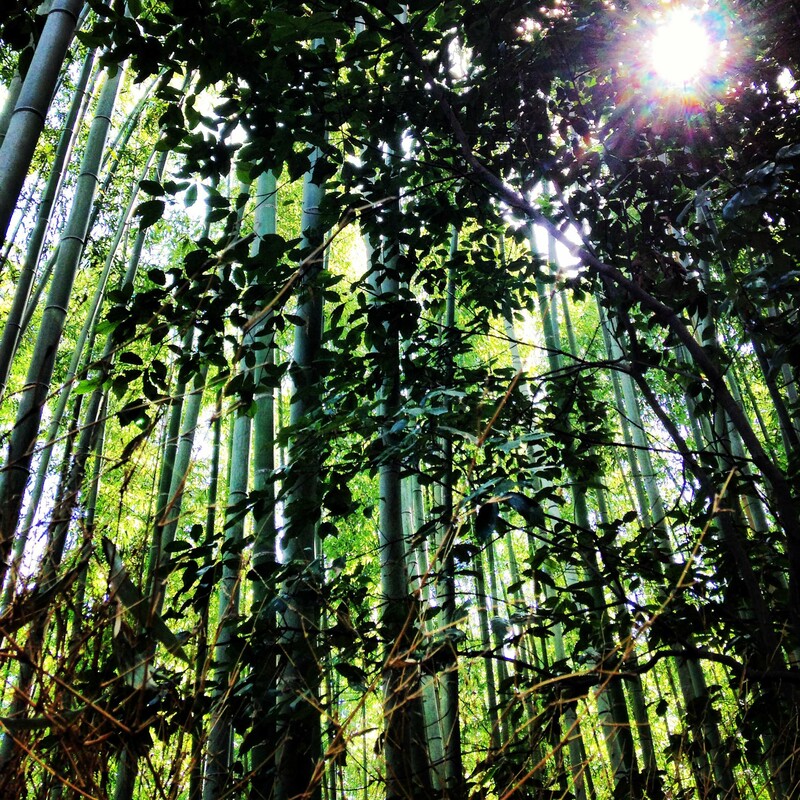 On my way to the restaurant I found myself in the middle of the bamboo forest with the morning sunlight breaking through the leaves. I grabbed my camera only to realize I had forgotten to put my memory card back in and had no back up in my bag either. In the middle of a tiny town, I knew my only option was to capture the day with my trusty iPhone. 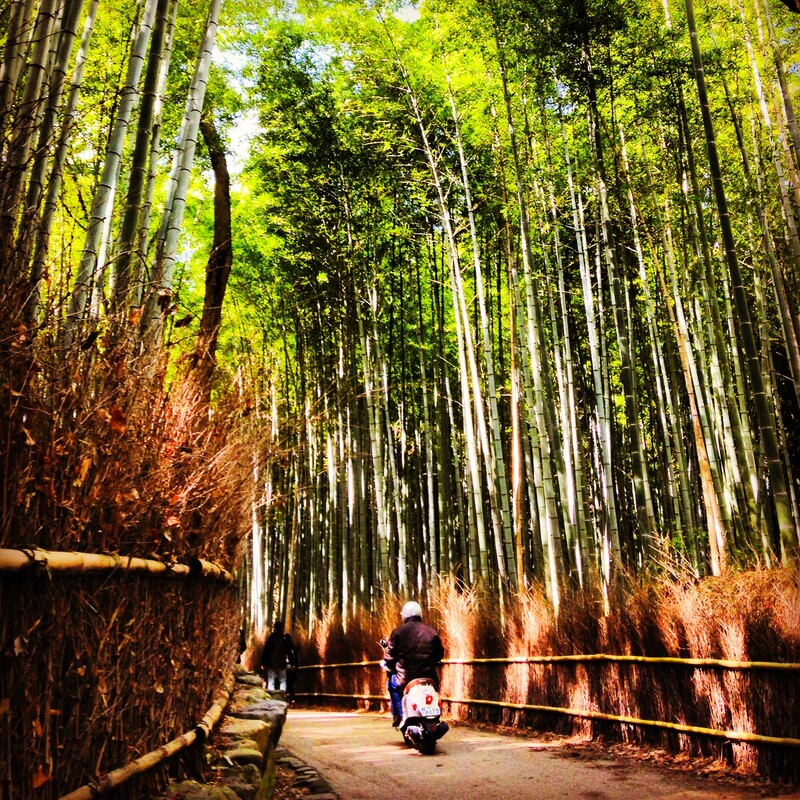 I was crazy thinking I’d have a zen experience in the bamboo forest. It was busy with tourists as most other places in the central areas of Japan. I slowed my pace a bit to enjoy the gigantic bamboo stalks but kept walking to reach my destination. I walked through a pretty park where cherry blossoms were just starting to burst and found myself standing beside a river where I finally lost the other tourists. It was also around this time that I realized that I had no idea where to go from where I was standing. I was far enough away from anywhere that my trusty wifi had stopped working and my paper map wasn’t helpful at all. I wandered around and asked a few people, but no one knew where the restaurant was. I panicked and thought I must have made a wrong turn. I decided the only way to right myself was to start again at the train station, (which was at least 2km away) so I ran back. By the time I reached the train station, it was only a few minutes before my reservation time. Realizing I’d be late to the reservation, I almost gave up and took the train home but I knew there was a magical meal out there if I could just find it. I figured out how to use the pay phone (by dumping in a whole lot of change) and called Shoraian to let them know I was lost and I’d be late. The man on the phone was sympathetic and helped me with directions which I followed. I ran to the restaurant because I was stressed out and didn’t want to be later than I already was. It was a beautiful day and I was cursing the fact I was in too much of a rush to enjoy it. I cursed even louder when I realized that the spot on the river bank where I was standing a little while before ,was 200m from the trail that led to the restaurant. I ran down the quiet trail that led to Shoraian. I took a deep breath before entering to try to calm my frazzled nerves. I was graciously seated and I had time to relax and enjoy my surroundings. A week early for the cherry blossoms, but the view was still beautiful and calming. 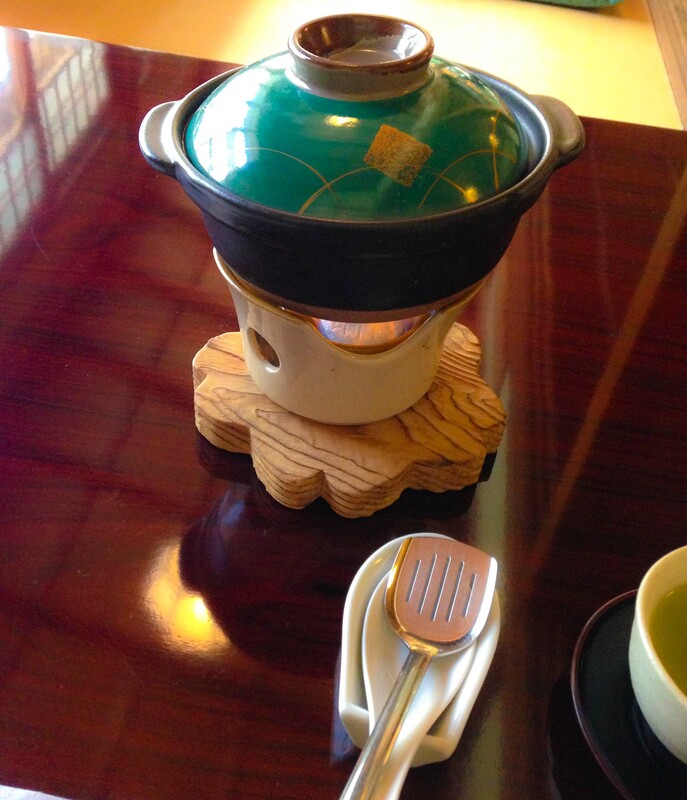 I was happy that I was able to find zen in the moment as my meal had begun. 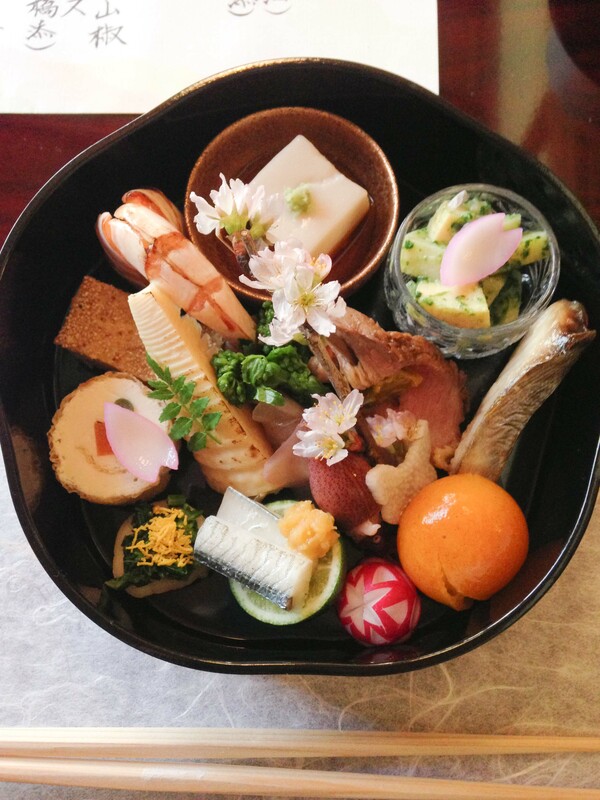 I think you need to have a clear mind to fully appreciate the subtleties of an exquisite tofu lunch. Not being able to read the menu means that everything is a surprise. 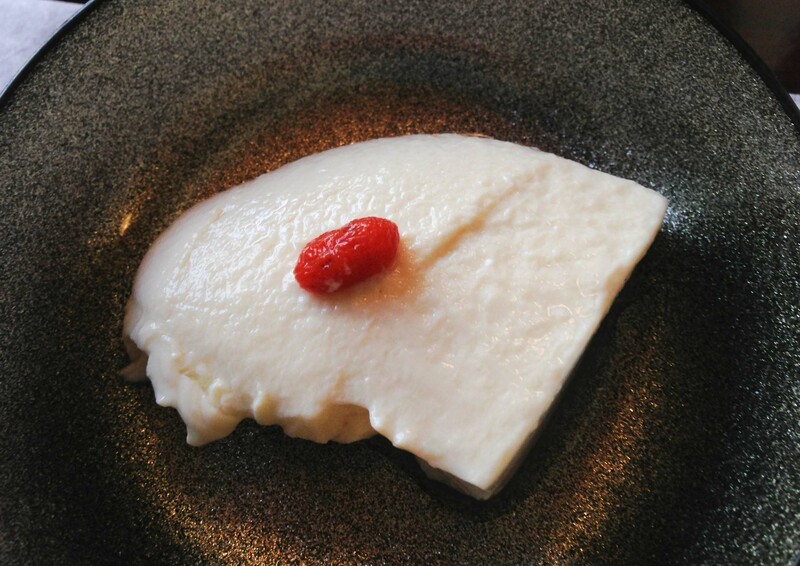 SIlken tofu topped served with ume shu (plum wine). 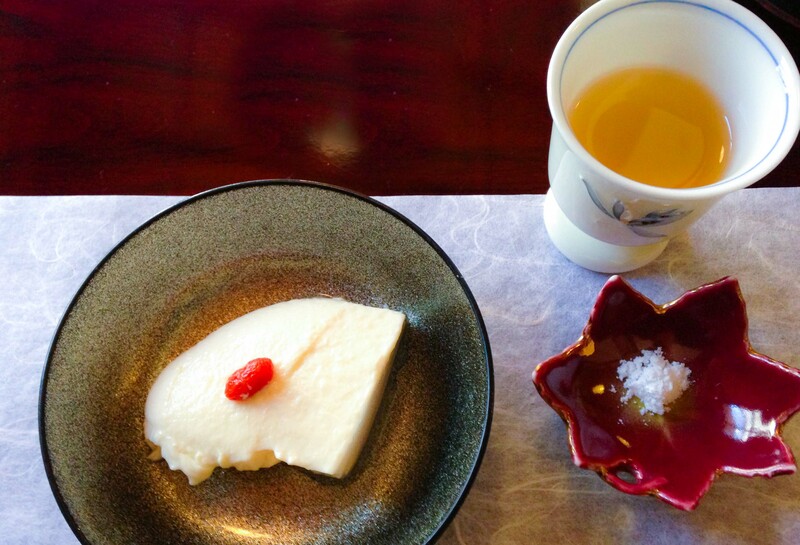 The cold tofu topped with powdered Okinawan salt was exquisite. Hassun-mori made with Kyoto ingredients and techniques. Almost too pretty to eat. I was very excited to have yudofu (tofu simmered in hot water). When I was in high school this was one of my solo dining staples. 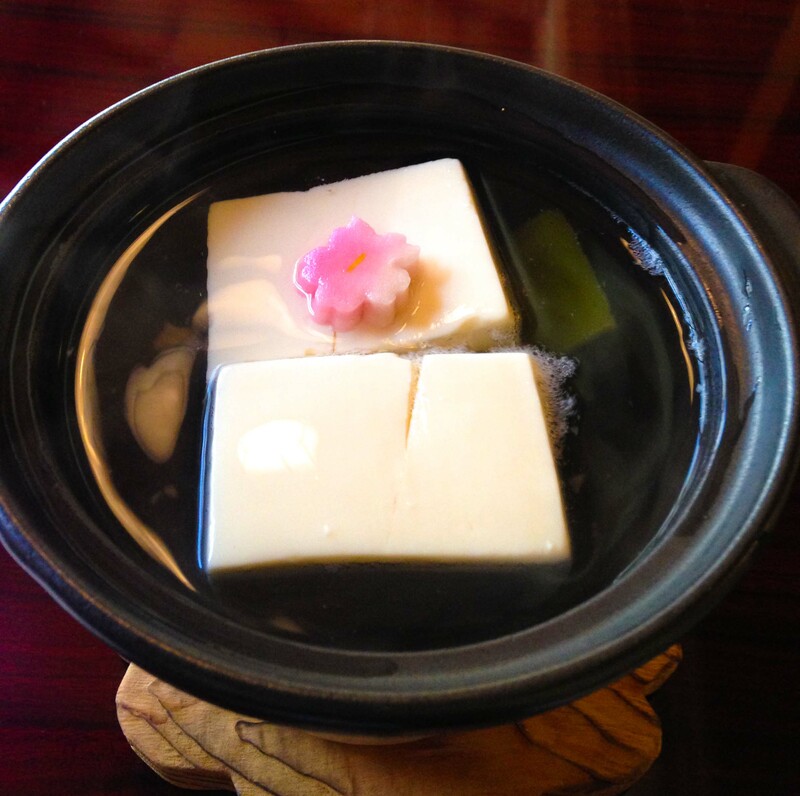 I was told that when the tofu started to dance in the pot that’s when it was ready to eat. The silky soft tofu, the consistency of custard was heavenly. 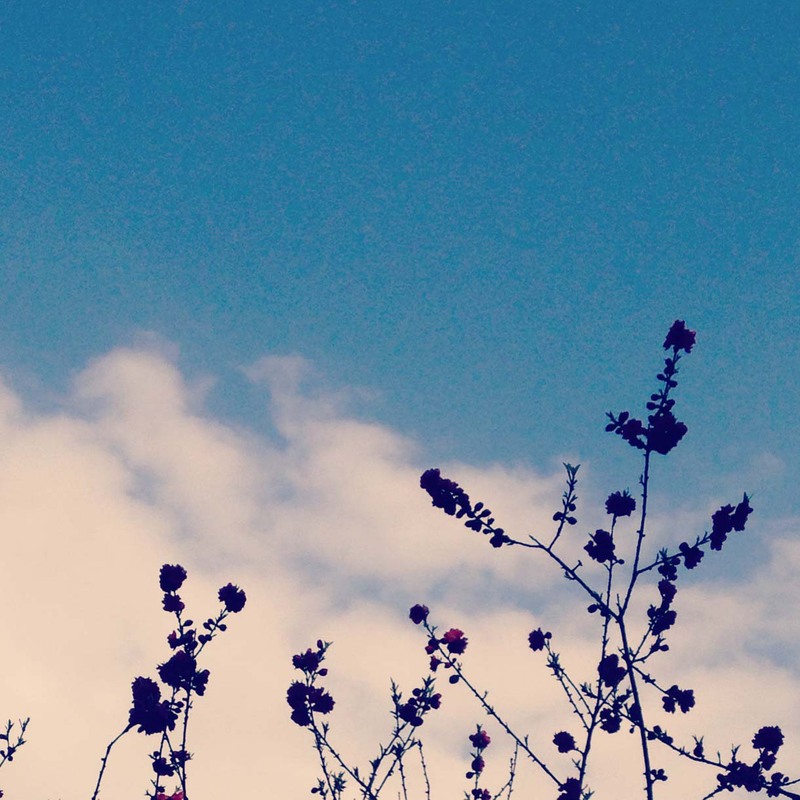 This course set me into the zen-like state I was longing to achieve. Small pieces of tofu are scooped out of the hot pot and dipped into light soy sauce with green onions and a sprinkling of sansho(Japanese pepper). 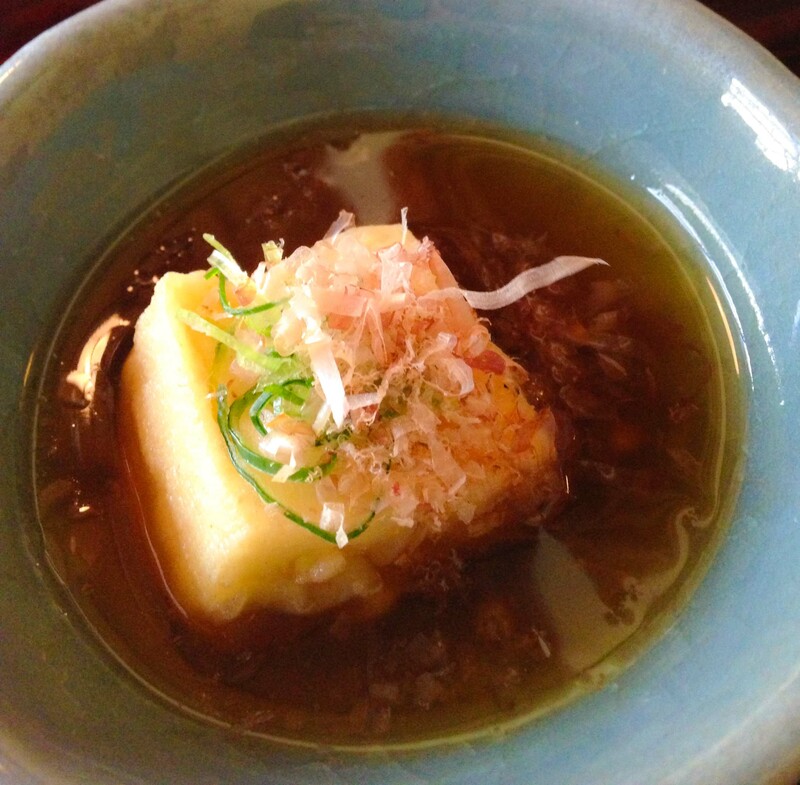 Agedashi tofu served with a gelatinous tenstsuyu (soy based sauce). Rice was served at the end of the meal. I couldn’t get over how delicious the rice in Japan is. 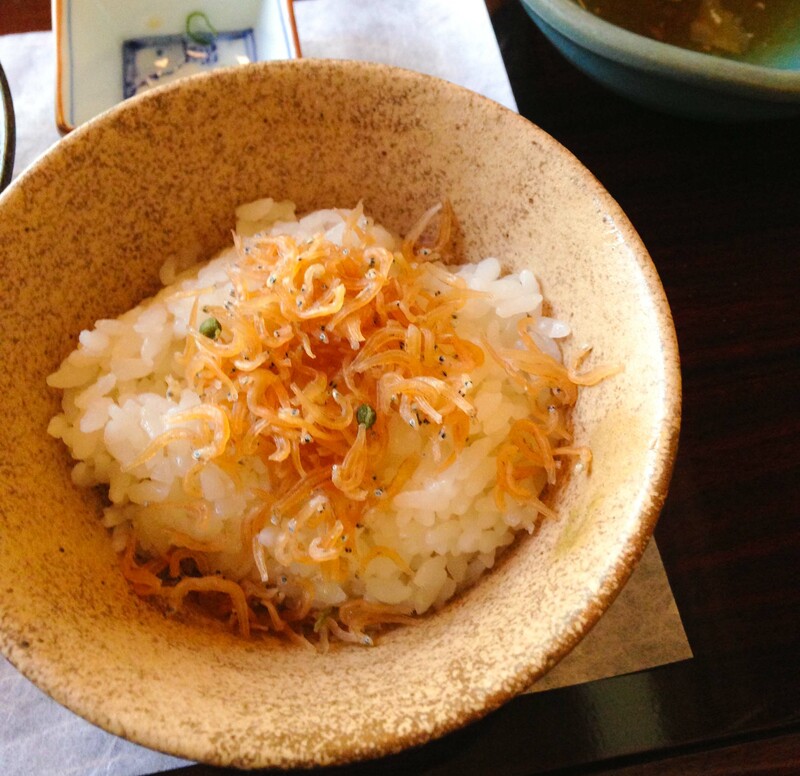 Kyo-tsukemono – Crisp salty pickled vegetables are a nice accompaniment to the rice. 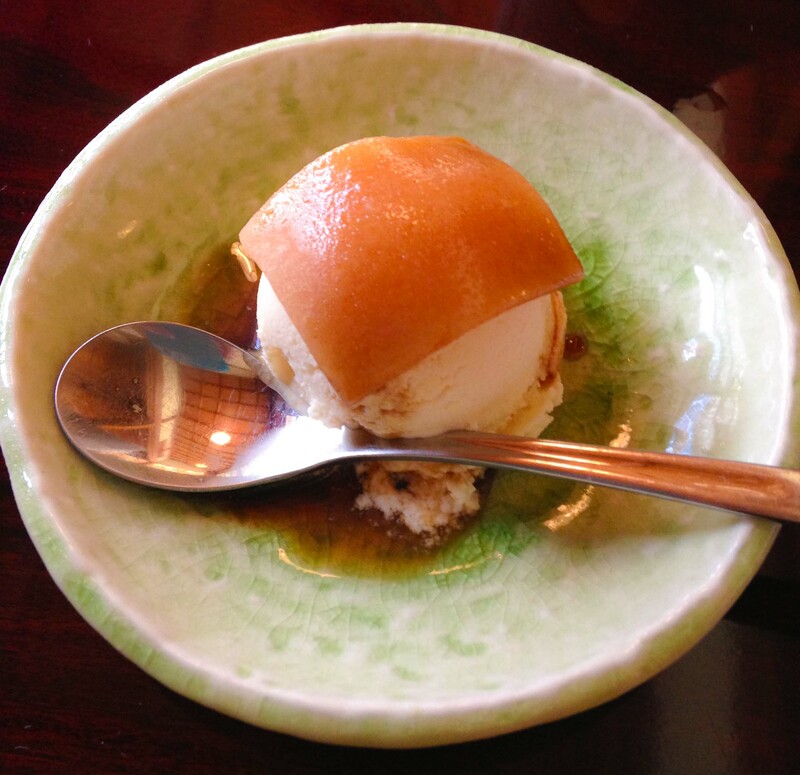 Tofu ice cream topped with yatsuhashi(cinnamon flavoured glutinous rice flour). For the record, tofu ice cream tastes like tofu and not soy milk and is delicious. Wandering back through the bamboo forest I was peacefully happy about the wonderful meal I had been served at Shoraian. The meal was quiet and the flavours were subtle. I think you have to at least like tofu to appreciate how amazing tofu at this level is. I love tofu and my lunch at Shoraian put me into a state of bliss that had me floating back through the tourists like I didn’t have a care in the world. 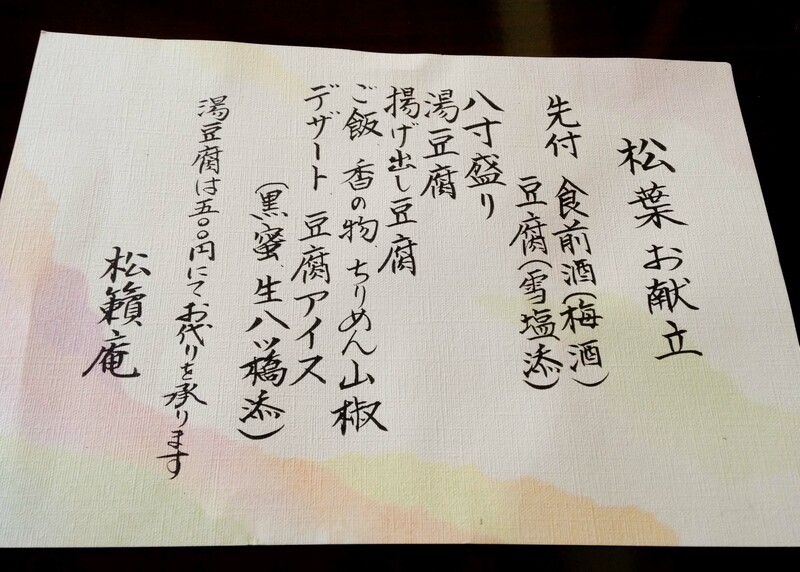 Hi I am going to kyoto by myself next week . It sounds like you went by yourself was that ok . They don’t mind a solo diner? Also how did you make the reservation … Did you phone ? I guess reception speaks English ? The only place I encountered an issue being a solo diner was at Kikunoi. Everywhere else, it was absolutely ok, and I found often I wasn’t the only solo diner. I made reservations through my hotel concierge. Unfortunately the reception speaks no english, but I was able to get by with my broken Japanese.